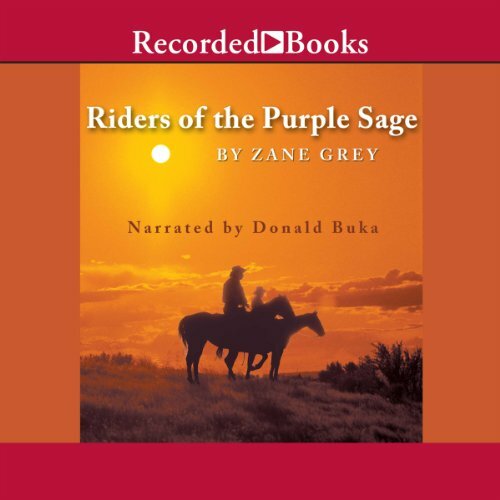 At the end of Zane Grey's most famous book, Riders of the Purple Sage, the two main characters are left trapped in "Surprise Valley". This story takes place 10 years later, when the wall to Surprise Valley is finally broken. Further exciting adventure then await Jane and Lassiter, as well as many new characters. The American Revolution is over, but the violence continues in the Ohio Valley. Jonathan Zane and Lewis Wetzel face constant action, trying turn the tide. But just when the beautiful Betty Sheppard has convinced Jonathan to give up his lonely war, she is captured, and taken into the unknown wilderness. Jonathan and Lewis set out on their last desperate journey to save her. Texas. They took the most contrary bunch of frontiersmen, ranchers, farmers, cowpokes, shiftless no-accounts, shootists, rascals, and politicians, jumbled them together, and somehow formed a state. They called it Texas, but for defenseless women and children, it was hell. Zane Grey’s books shoot fast and straight from the hip, hitting readers dead center with thrilling action. His name has become synonymous with western adventure. Because of his killing speed with a revolver, Buck Duane has lived the lone-wolf life of an outlaw. Every day is a struggle against desperate men anxious to prove themselves—and a bigger struggle to hold onto his basic human decency. So when the Texas Rangers offer to deputize him for a dangerous undercover mission, Buck grabs it as his final chance for redemption. Two men. One woman. A land that demanded courage...or death. 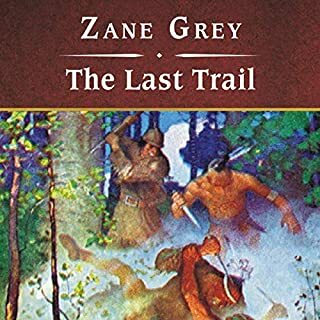 Zane Grey, an author synonymous with the daring tales of the Wild West, delivers an exciting tale in this phenomenal best-seller, The U.P. Trail. As the country changes around them, a group of Wyoming residents ban together to fight the coming of the Union Pacific Railroad. But railroad engineer Warren Neale, struggling against the terrain, the climate, the populace and even his girlfriend’s abduction, is determined to see his project to completion. 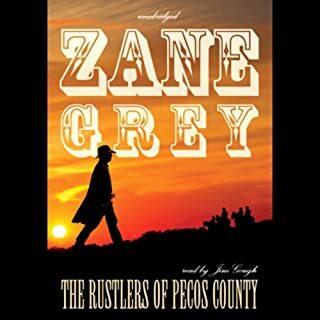 This Raging Bull Publishing bundle contains four classic Western audiobooks by Zane Grey. 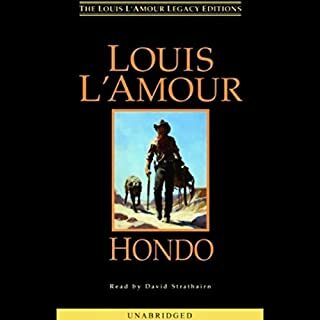 In the first in this trio of Western stories by Louis L'Amour - "Black Rock" - Jim Gatlin, a Texas trail driver, arrives in the town of Tucker where he finds himself quickly drawn into the middle of an all-out battle for the XY Ranch when, due to a case of mistaken identity, he kills the segundo of Wing Cary's Flying C Ranch. Gatlin is a dead-ringer for Jim Walker, who, like Cary, wants control of the XY. Gatlin is thrown into a situation in which all he can do but fight for his life. Mile upon mile of prairie covered by great buffalo herds; reckless, hard-riding plainsmen, buffalo hunters, Indians, bandits - the whole colorful epoch of the pioneer, in a story which centers around the destruction of the thundering herds of buffalo. 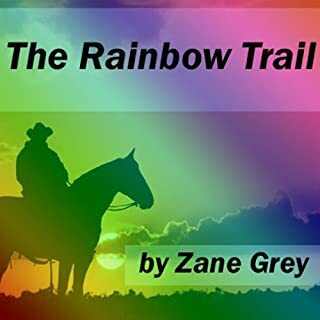 In this breathless tale of bravery and battle, of white man's courage and red man's daring, Zane Grey has written one of his finest novels. 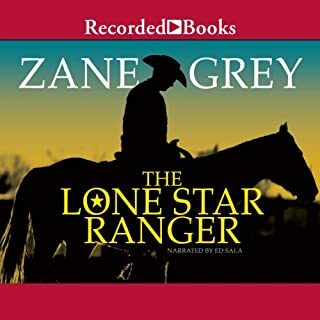 This Raging Bull Publishing box set contains four classic western audiobooks by Zane Grey: The Light of the Western Stars, The Lone Star Ranger, The Man of the Forest, and The Spirit of the Border. From one of the bestselling western novelists of all time, comes another classic story. Templeton Lambeth had so desperately wanted a son - an heir to ride by his side through the vast, wild ranges just west of the Pecos River. But to his disappointment, his wife bore a girl. His hopes crushed and in denial, he decides to raise his daughter as if she were a boy. In honor of Lambeth's more successful brother, they named her: Terrill. Society beauty Madeline Hammond arrives late one night by train to meet her "black sheep" brother. She is immediately swept up in the danger, drama, and excitement of the old West. This thrilling Zane Grey romance is told from the woman's point of view and will appeal to anyone who enjoys a fast-paced, historically accurate story. Zane Grey's first (1912) and most popular bestseller defined the mythical Wild West for subsequent generations. Donald Buka's twang and clear voice accent the tale well. Gunman Lassiter helps a wealthy Mormon rancher protect her ranch from cattle rustlers and the church. Although his narration is somewhat dry, Buka delivers at the dramatic points and allows listeners to savor the the excitement and intrigue of the Western frontier. Public Domain (P)1990 Recorded Books, Inc. If Zane Grey's books sound like cliche cowboy stories, it's because he invented the genre. His writing conveys an authentic voice of the times about which he wrote. If you don't Westerns, you probably won't like it. If you like that period in history, this is as good as it gets. This particular recording is lower quality. However, the narrator is a delightful story teller. I recommend the book and this particular production. This is the first western I had ever listened to, and must admit I had many negative preconceptions of what to expect. To my surprise this was a deep work which focuses of many important issues including role and treatment of women in society. I was very impressed with the style of writing and beautiful descriptions of the rigid west, which Grey wrote from first hand experience. Some of his characters can come across as caricatures, but this can be leveled even at greats such as Dickens. 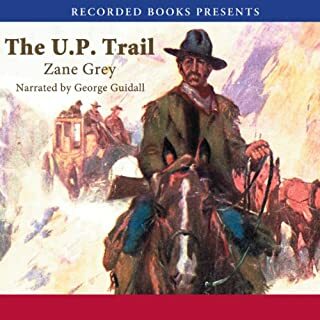 Overall, an excellent audio book and introduction to the works of Zane Grey. Buka?s narration is beautiful and he poses enough variation to bring all the character vividly to life.